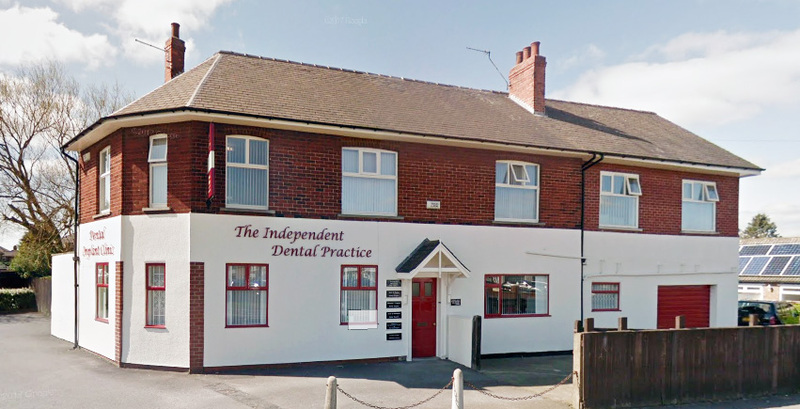 We are easily found in a prominent position at 282 Acklam Road, at the junction of Mandale Road and Acklam Road, the opposite corner to the Coronation Hotel. This can be approached from the A19 by taking the Thornaby/Acklam interchange onto Mandale Road, (signposted ‘Middlesbrough Theatre’ ), or by taking the A1032 (Acklam Road), which passes in front of the building. Limited free parking is available on site, but cannot be guaranteed at busy times. Pay and display is also available nearby. Local buses to and from Middlesbrough, Hemlington, Coulby Newham, Stokesley and Thornaby stop outside our door. Bicycles may be locked securely to the right of the front door. Please call in or telephone, to make an appointment, buy dental sundries recommended by our clinicians, or ask us a question about your teeth. You will always receive a warm and friendly welcome. Our friendly and knowledgeable reception staff are also available from 8.30am Monday to Friday. An answering machine is available outside these times, where a message can be left, for example, about cancelling or rearranging a forthcoming appointment. We understand that sometimes you may need to cancel or re-arrange an appointment, but kindly request 24 hours notice if it is at all possible (however, any notice at all is also appreciated), so that the time saved in a clinicians diary especially for you, can hopefully be then effectively used for another patient. Unfortunately, although we can send an appointment text reminder to you, we do not have the facility to accept incoming texts.